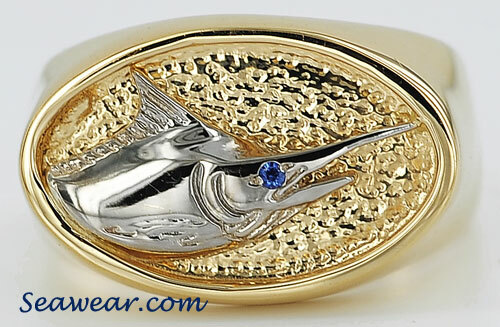 Heavy 14kt signet ring with textured background, blue marlin in 14kt white gold and blue sapphire eye. Hand made. Hand polished. Hand finished. Lost wax casting. This ring as shown weighs 13.2 gms, is size 10.0 and can be sized up or down by your local jeweler. A ring ordered to a specific size will take 3-4 weeks and be about $30 more per half size larger. 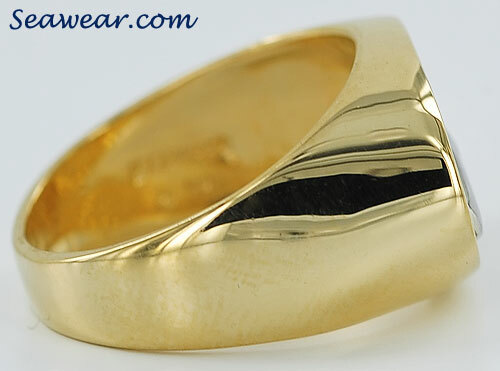 The face of the ring is 7/8" wide and 9/16" tall or 22x14mm. 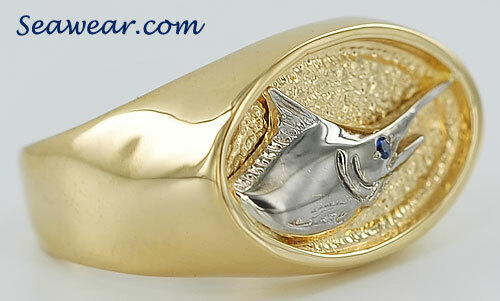 The sides of the blue marlin signet ring taper from 10mm to 4mm in the back. The top of the ring is about 4mm from the top of your finger. 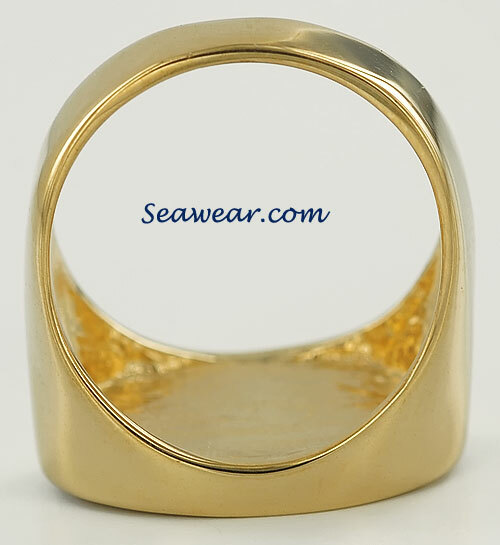 Perfectly suitable for wedding band, signet ring, showoff, bragging rights or advertising for charter captains. It is impressive! You cannot order unless you pinky swear you have released at least one.